LAS VEGAS – As his voice cracked a little, the emotions showed as Weston Rutkowski closed out his third straight Bullfighters Only world championship. 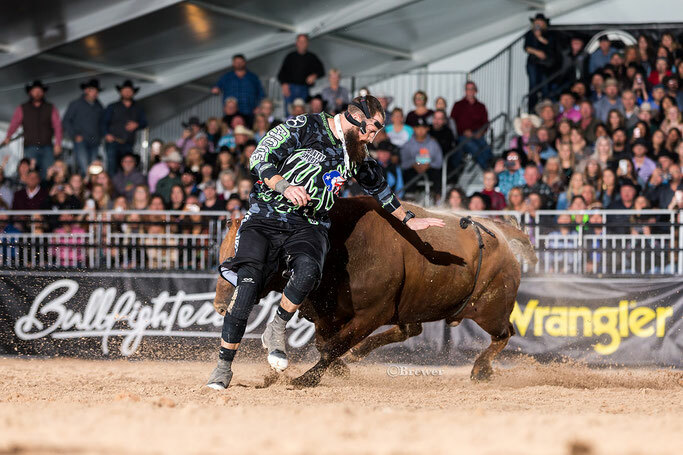 “This title means a lot because it was an actual race,” said Rutkowski, who matched moves with Rockin’ B & Magnifica’s Unicorn for 85.5 points to win the Hooey Championship Round and the Bullfighters Only Las Vegas Championship at the Tropicana Las Vegas. “In years past, guys haven’t really had a shot, but this year, there were five guys that had a legitimate shot heading into today. It wasn’t without controversy. Rutkowski advanced to the final round after he outscored another BFO pioneer, Ross Hill 85 - 84.5. Judge Andy Lott had Hill winning the round, scoring both Hill and the bull 21.5 points for 43 points. Lott scored Rutkowski 21.5 and his bull 21, which provided Hill with a half-point advantage. 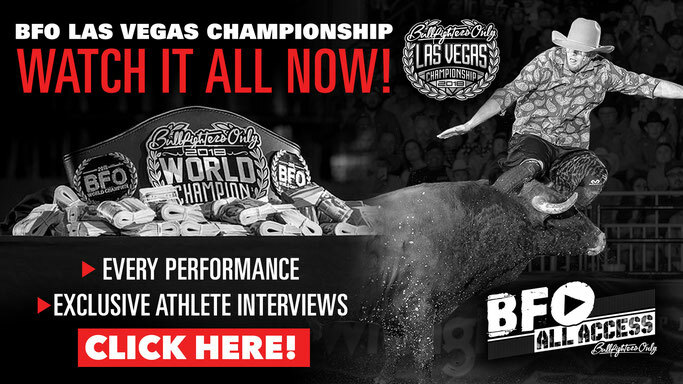 LAS VEGAS – Beau Schueth has had a fantastic year as a freestyle bullfighter. It all culminated in a whirlwind finish for him during the Bullfighters Only Las Vegas Championship at the Tropicana Las Vegas. A week and a half ago, he took the Roughy Cup and the Wrangler Bullfight Tour titles en route to his personal best finals. 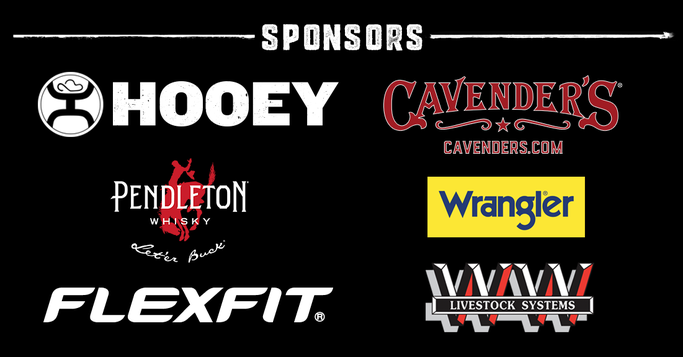 He finished the season as the reserve world champion, finishing second on the final day of the season behind three-time titleist Weston Rutkowski of Haskell, Texas. Schueth earned $39,960 in the BFO this season. Even though there were great fights, there were some viewers who thought the judges may have made a few bad decisions. Schueth never saw it that way. “I thought they did a great job,” he said. “Judged sports are so tough, and I thought they handled it good and did a great job.